Cover Reads: I've Got It! We'll Go Shopping! Of Course! That'll Solve Everything! Inside Reads: It's Your Birthday. Give Yourself Some Credit. 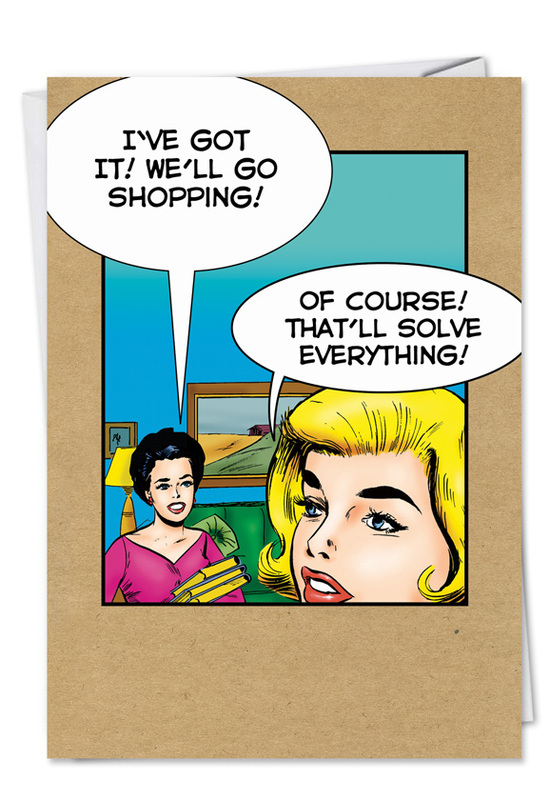 If you have that woman that loves to shop on your list to help her celebrate her Birthday, then this funny card will be right down her isle. No matter what the problem or issue that arises, it can always be made better by shopping. Go ahead and give your blessing for her to head out shopping on her special day. After all, that way she can buy exactly what she wants. 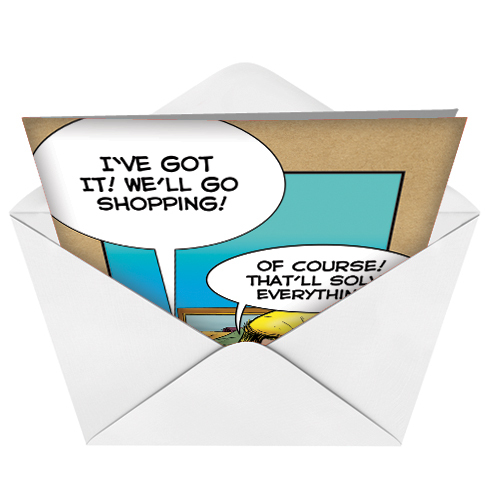 Nobleworkscards.com offers a variety of funny Birthday cards that is sure to match any style and personality you are looking for. So, send a card that will truly be enjoyed.